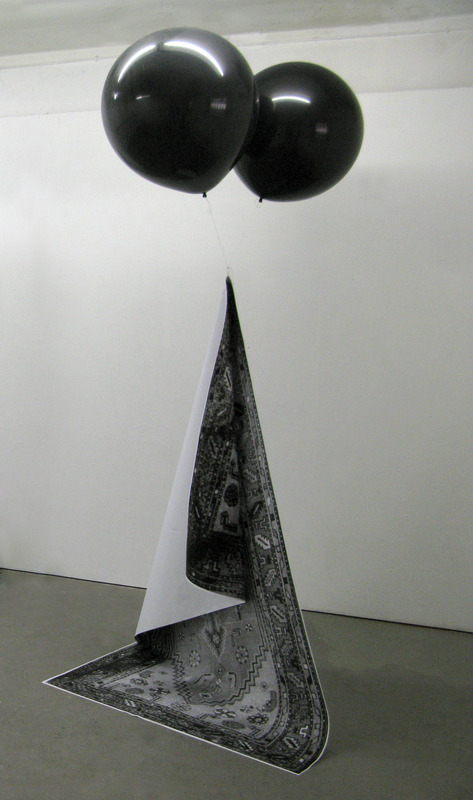 Artifice, 2013, Xerox paper, balloons, helium, 100 x 150 x 250 cm. View of the exhibition KR at MJ Gallery, Geneva, November 2013. The helium balloon is graduately decreasing until the paper is randomly laid out on the floor. 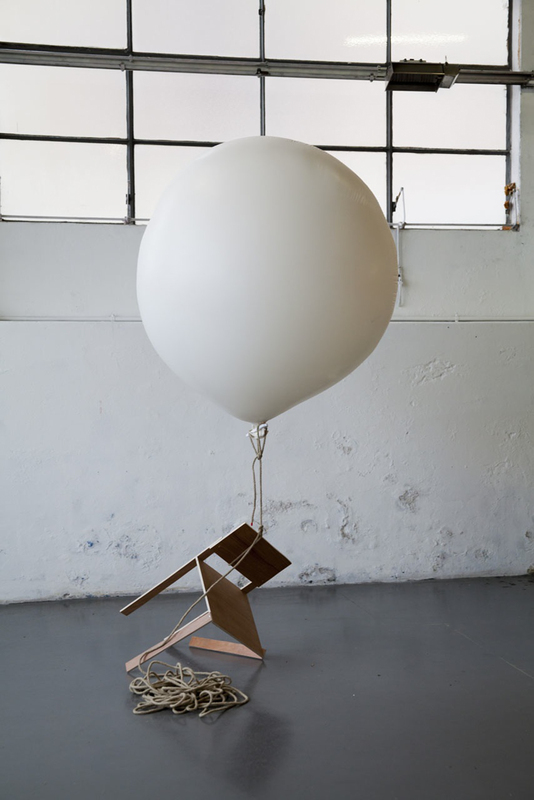 Chair, plywood, rope, ballon, helium, 2014. 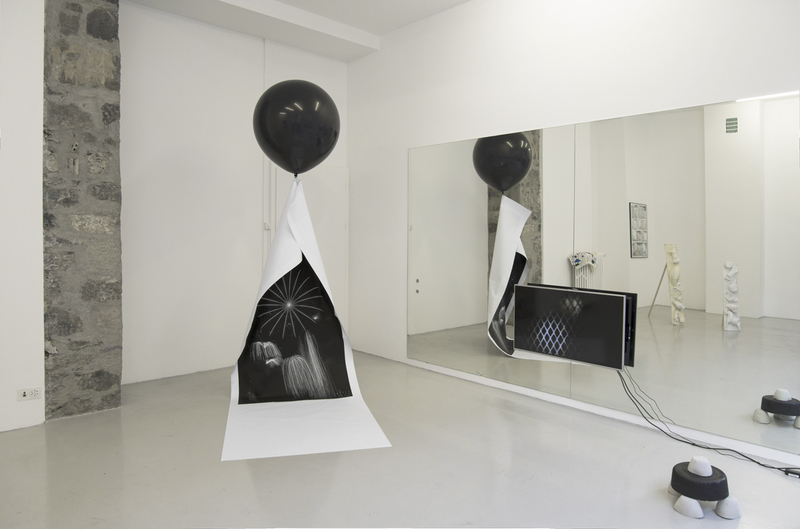 Exhibition view of Les Urbaines, Lausanne, 2014. 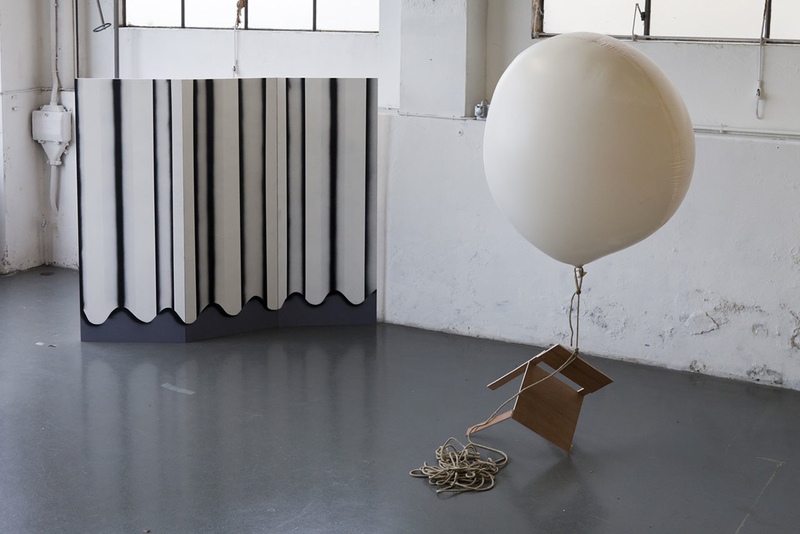 This ephemeral sculpture is a floppy hommage to Roman Signer. 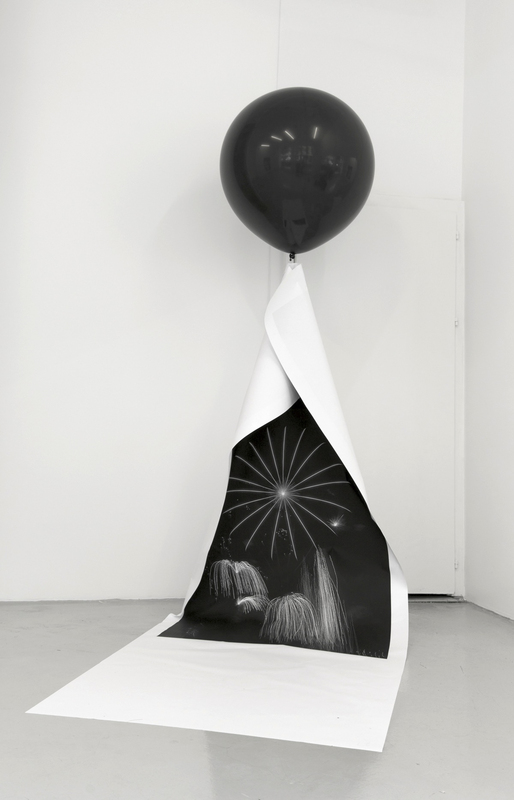 Waking dream (Tapis ascentionnel), 2013, Xerox paper, balloons, helium, 150 x 250 cm. Reproduction on a 1/1 scale of a persian carpet on photocopy paper.